Kiana (b.1988) grew up in Tehran, Iran and migrated to Toronto while she was still a teenager. Faced with the challenges of adapting to a new environment, she took up photography as a way of bridging the gap in language and culture. After an incident in her personal life, while still in university, she packed her life in a backpack and started a nomad life to search for a place that could be called home. She has worked internationally but remained focus on stories that illuminates her background. Her self-initiated and self-funded projects often explore complex topics such as migration, adolescence, identity and sexuality. She spent 7 years working on a long-term multi-phase project, Resilience Trilogy, where she illustrated the lives of youth and their culture in war-torn countries across Middle East. Kiana was an IAAB fellow in 2011 and completed a CIS artist residency at MIT University in the following year. In 2014, she was named as one of the emerging photographers by PDN 30 Under 30. In 2016, she was selected for IWMF’s cross-border reporting fellowship to work on her proposed story in Rwanda and DRC and was selected as the recipient of Chris Hondros Fund Award as an emerging photographer. In 2017, she received a grant from European Journalism Center to do a series of reporting on gender equality out of Afghanistan and received Stern Grant in 2018 to continue her work on the state of mental health among afghan women. Kiana is a Senior TED fellow and she regularly contributes to The New York Times from Afghanistan. Her work has appeared in Harper's Magazine, Foreign Policy, Washington Post, NPR, Monocle Magazine, Wall Street Journal, Le Monde, Marie Clare, Glamour, The Globe and Mail, Aljazeera America and CBC, among others. Kiana is a regular contributor to Everyday Project from Middle East and Asia. Follow her on Instagram (@kianahayeri) where she shares bits and pieces of daily life as she roams, explores and tells stories. 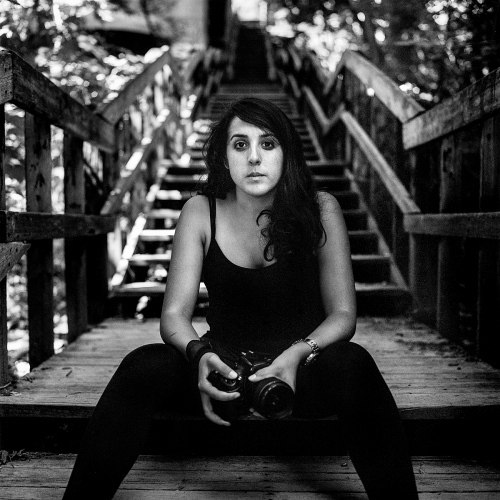 Kiana is commercially represented by NAMARA Represents, a new initiative representing Canadian photojournalists and documentary photographers working with organizations and use image-driven narratives to promote their brands. She is based in Kabul, Afghanistan, covering the region.